In 2017 the Royal Flemish Academy of Belgium organized a three day symposium on the challenges Europe faces today. 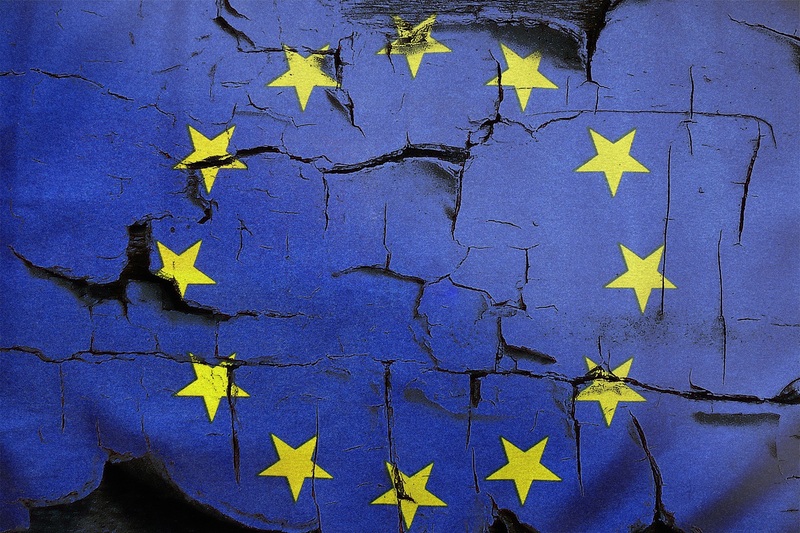 The European Union faces times of discomfort and concern. Unlike the financial crisis in 2008, though, the current challenges do not constitute a violent and life threatening storm. Rather, Europe is facing a slow change of political and societal climate. It is the consequence of disruptive world events. Globalization induces challenges as well as opportunities. Our societies are confronted with immigration, multiculturalism, new technologies taking us by a storm, complex policy and governance, increasing income inequality, tension between solidarity and national – often nationalistic – self-interest etc. The complexity of the current policies leaves European citizens feeling detached. Spewing criticism is easy. Choosing to take a constructive stand requires a strong sense of responsibility. Disunion supersedes the reality of the Union. The European unification remains a unique historic event. Following the bloody Second World War, European integration provided salvation, an instrument of reconciliation and peace. The rather unexpected fall of the Berlin wall in 1989 provoked the implosion of communism and explosion of the Sovjet Union and led to a spectacular increase in the number of member states of the Union and led to the introduction of a common currency, the Euro, made possible by the Maastricht Treaty. This position paper from the Royal Flemish Academy states that the standards from the Maastricht Treaty on the allowed budget deficit and the public debt ratio can be more flexible considering that, due to the introduction of the euro, the current interest rate is historically low. Increased macroeconomic convergence between the member states of the European Union is an absolute requirement. This can be made possible through an evolution into a federalist direction. Having to wait for a consensus amongst all member states is paralyzing for European policy. It is therefore necessary to instate an adaptable “coalition of the willing”. This would create a new cooperation model: a number of countries at the core of the cooperation – they should all be members of the eurozone – surrounded by concentric circles of countries that aren’t prepared to accept an even closer Union. A “Saturn Model”, the planet surrounded by its rings. The current European budget equals about 1% of the European Gross National Product and it is too minimalistic to implement an effective European policy. A Europeanisation of national budgetary expenses such as defence, security, immigration, climate policy, scientific research, important infrastructure works, social cohesion etc. is crucial. An important role should be assigned to a European Minister of Finance. The European Parliament would receive genuine jurisdiction to decide on income and expenditure. In this scenario, the income and expenditure of national governments would instantly decrease. Several members within the European parliament – eg. 10% - should be elected from a European constituency, stretching out across all of Europe. These representatives would defend the European common good rather than nationalist interests. The European Commission should gain more importance. Brexit has become a serious trial for the European Union. A brutal fracture with the United Kingdom that would cause all trade relations to fall back upon those set up by the World Trade Organization shall have serious negative effects; especially for Great Britain (because they are reliant on Europe for 40% of their total export), but also for the remaining 27 European member states. Several urgent issues need to be tackled: the legal status of European citizens currently residing in Great Britain, clearing the financial obligations of the United Kingdom, finding a solution for the border issues between Northern Ireland and the Republic of Ireland and possibly Scotland. In the long run it would be a better solution if the United Kingdom remains a member of the customs union, in one way or another. The current status of Norway as a member of the European Economic Community (EEC) could be a blueprint for a new scenario. For this to work, Britain would need to accept a number of obligations, including financial contribution and – in certain cases – the jurisdiction of the European Court of Justice. This will require an acceptance process for the British government and the public opinion in Great Britain – but, in light of the unfavorable economic prospects following the Brexit, this would not be unthinkable. Perhaps the Brexit negotiation period should be extended beyond March 2019. After all, time will tell. Or, maybe not.